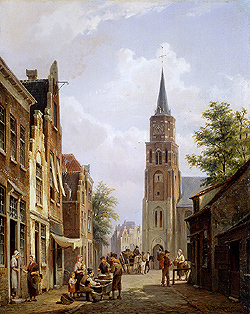 Like the other members of his family, Cornelis C. Dommelshuizen specialized in landscape and town scenes in Holland. 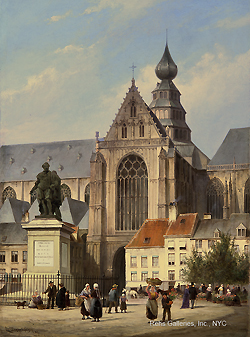 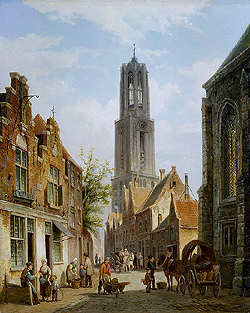 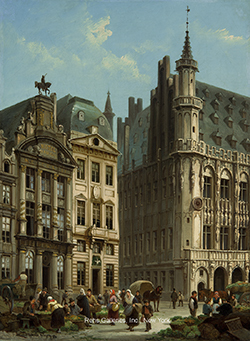 Following in the traditions of artist like Vermeer, Koekkoek, Springer and Spohler, Cornelis strove to capture the daily life of the cities inhabitants in great detail. 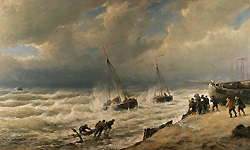 His paintings are warm and filled with light and were highly sought after during the period.